The club runs several longer trips every year. From weekends to weeks, below is a taste of some of the places we have been or aim to go in the near future. 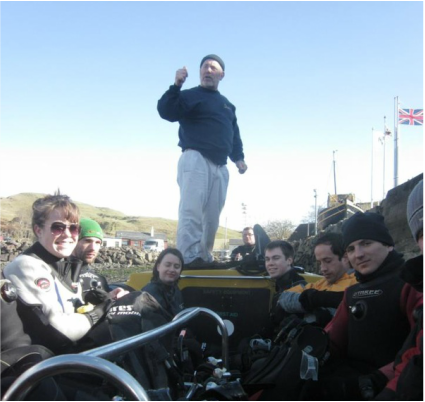 A regular favourite within the club, the Oban weekends are great fun for all levels of divers. 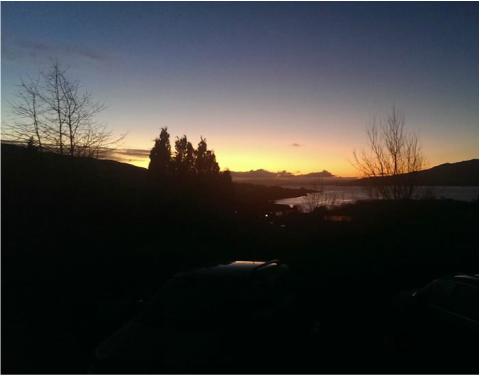 We usually stay at Corran House which has great views and a wee traditional pub in the basement! The trip consists of two days diving: either from club boats, local hardboats, or the shore. A standard dive is the SS Breda: a must see wreck and accessible to Ocean Divers. She is usually the one to take our members' wreck diving virginity and, trust us, after you've dived her you will be hooked on wreck diving for sure. Other sites on the trip can include Heather Island, Maiden Island, Dunollie Castle and more. A world famous site, Scapa Flow in Orkney has some of the best wreck dives on offer anywhere in the UK and beyond. The best part though? It is right on our doorstep! Scapa trips tend to be longer: from four days to a week because there is so much to see. For those of you not familiar with the site, the German fleet was scuppered there during WWI so it is full of nice big wrecks of battleships and other wartime vessels. If you ever have a diving bucket list, Scapa Flow should definitely be on there. Lanzarote is open to divers of all levels and has been an awesome trip in the past. We stayed in self-catering accommodation 75m from the dive centre, full equipment hire was included as were flights and airport transfers (and a 10 dive package with options for 2 boat dives and a night dive). There are limited places trips like these so when they get announced be sure to move quick! The Sound of Mull trips can be weekends or long weekends, are usually all hard boat diving, while staying in self-catering accommodation on shore. This trip is only open to Sports Divers and above due to the depths of the wrecks. The wrecks are top class though and well worth diving. Look up the Hispania, the Thesis, the Rondo, and the Shuna for a taste of what to expect. Ever wanted to dive with seals? Then this is the trip for you. We usually spend a weekend down near the Farne Islands, taking our own boats. We aim for August/September time because this is when the seals are still young and playful but not too young that the mothers are too protective of them. The best way to describe a seal is like an underwater puppy. They will follow you around, play with you, nibble on your fins, and generally swim rings around you. A great trip for animal lovers especially and open to all dive grades. An old club favourite, Skye offers some of the best scenic diving in Scotland, with clear Atlantic waters that regularly provide fantastic visibility. Add to that a couple of wrecks, including the fascinating HMS Port Napier and it becomes a brilliant destination for a week long trip. Accommodation is self-catering and a stones throw away from the slipway. A trip to Skye is not to be missed! We last went to Malta for the 2019 winter trip- our biggest ever expedition! We took over 25 divers out for a week of wrecks, wall diving and general fun in the sun! Hosted by Maltaqua, we stayed in their luxury apartments and travelled the length and breath of the island for all of the shore diving we could get our gloves on. If there is somewhere specific that you want to go, give our Expeditions Officer a nudge.